School District Long-range Facilities Plan services | Cascade Facilities Management Consultants Ltd. Integration of new capital works with the Seismic Mitigation Program. The Ministry of Education 2016/17 Capital Plan Instructions issued June 2016 require Boards of Education to develop and maintain a comprehensive School District Long Range Facilities Plan (LRFP). In the instructions, this requirement is defined as follows. Maintaining a current, comprehensive LRFP that forms the basis for school districts’ capital investment decisions and aligns with best practices in asset management is a key component for district-wide capital planning, and a framework for other local programming and operational decisions. The LRFP should use a ten-year planning horizon with consideration for the longer term. The scope and emphasis of each LRFP will vary depending on the specific circumstances and priorities of each school district (see Appendix G Long Range Facilities Guidelines). School districts are required to develop and maintain a comprehensive LRFP, and to be made available upon Ministry request. Cascade Facilities Management Consultants Ltd maintains a close relationship with Ministry of Education officials in order to be up-to-date on current facilities strategies and provincial policies. Cascade has prepared successful School District Long Range Facilities Plans for several school districts including: Chilliwack, Nechako Lakes, Quesnel, Coast Mountains, Nisga’a, Comox Valley, Vancouver Island West, and Sooke. We are currently completing the LRFP for Mission and New Westminster School Districts. 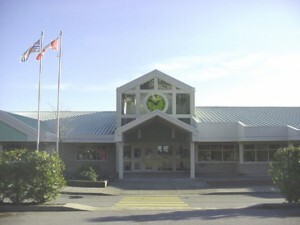 Cascade also developed sub-plans for particular geographic areas of Fraser – Cascade, Langley, and the Conseil Scolaire Francophone (CSF) districts.